In an attempt to procastinate before facing my homework and to satisfy my sweet tooth, I whipped up some delicious Yum Yum Brownie Muffins tonight. 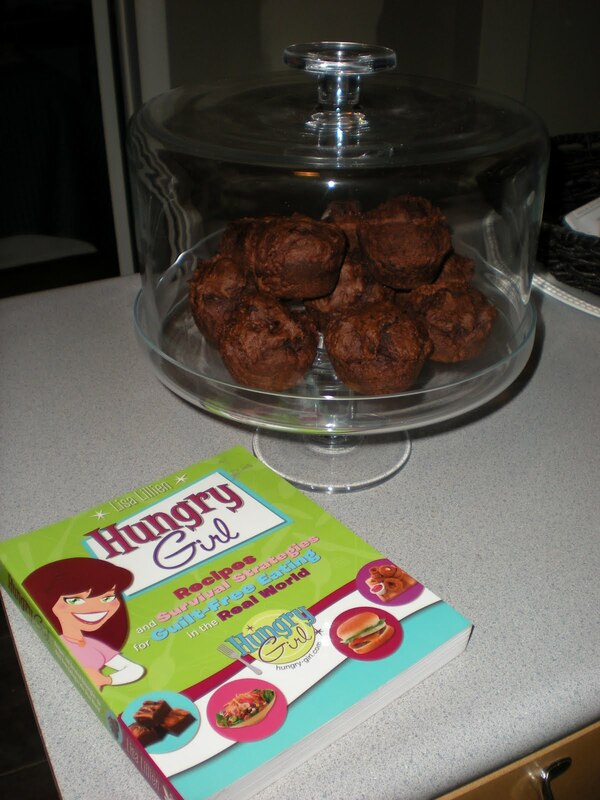 The recipe is from the Hungry Girl cookbook by Lisa Lillien - a collection of super easy recipes that are healthier alternatives to all your favorite foods. 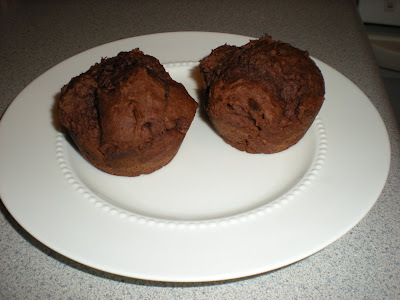 Back to my brownie muffins... More complicated recipes require bringing a long list to the grocery store or result in disappointment when you discover you are missing one of the zillion ingredients. What I love about this recipe is the simplicity. 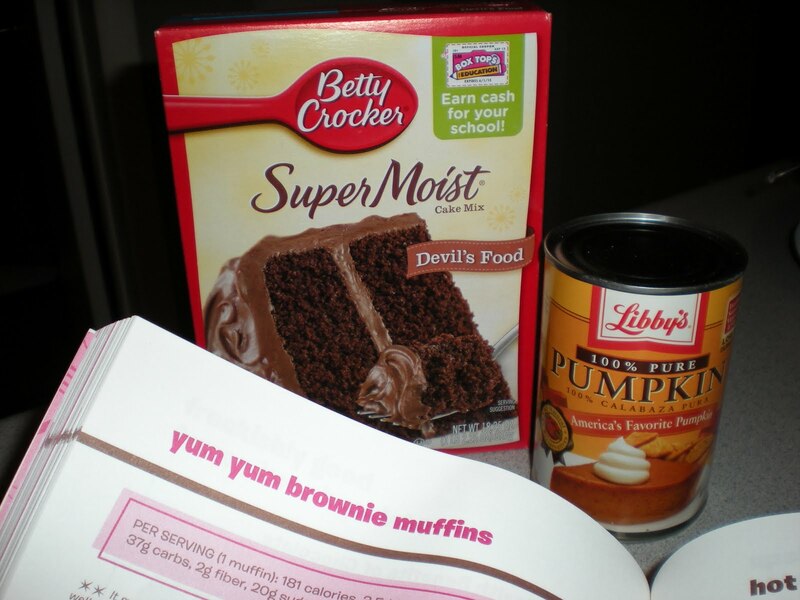 I picked up the two (yes, TWO) necessary ingredients a few weeks ago when I saw canned pumpkin and devil's food cake mix was on sale. It might sound strange, but pumpkin replaces oil and eggs and supplies a delicious richness, not a strong pumpkin flavor. I stirred, spooned, baked, ate one of the brownie muffins (they are called "Yum Yum" for a reason!)... and I only wasted about a half an hour of homework time. A perfect recipe to quickly fulfill a craving without blowing a ton calories! Mix the two ingredients together. Don't add anything else that may be mentioned on the box, like eggs, oil, or water. The mixture will be very thick, so you might be tempted to add in other things to make the batter smoother. Do not do this! 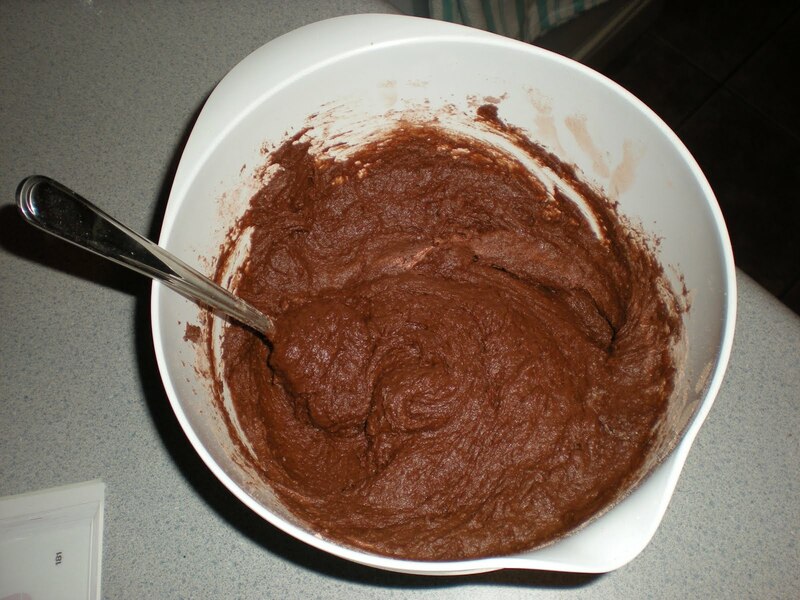 Place batter into a 12-cup muffin pan lined with baking cups or sprayed with nonstick spray. place pan in the over and bake for 20 minutes. I was looking for a treat to make Jen's volleyball team this weekend as they havea tournament in Topeka- now I have found it! Cannot wait to bake (and eat) them! I have the ingredients and plan to make them tomorrow night! Mom/Susan - great idea to sprinkle them with a little powdered sugar! 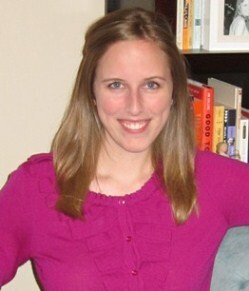 Marie - so glad you are giving them a try. I hope you enjoy them!